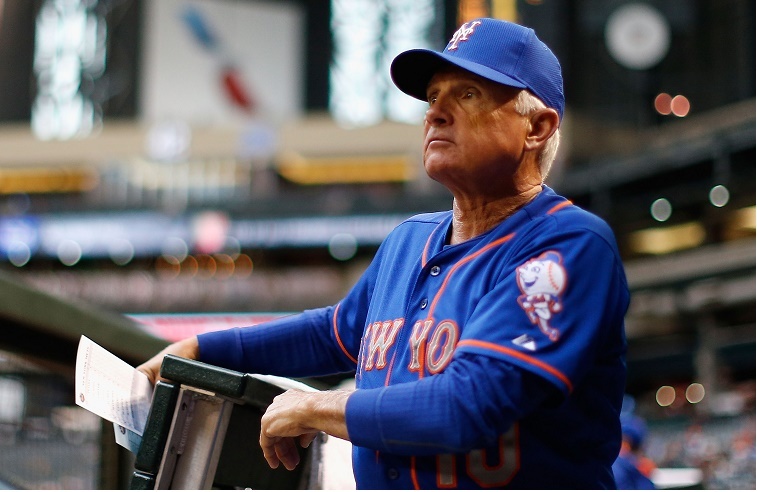 If you caught the Mets’ 6-2 win over the Diamondbacks on June 4, you saw Matt Harvey return to the win column for New York, Paul Goldschmidt hit one of his trademark bombs, and Jeurys Familia look sharp in a five-out save. Otherwise, it was your average summer tilt between two teams with no high stakes on the line — that is, unless there is a trophy for ugliest uniform of the 2015 MLB season. As luck would have it, both teams were sporting special jerseys of sorts for this Thursday night contest. Arizona, the home team, wore a throwback number most famous as the jerseys of the 2001 World Series winners. (Picture Luis Gonzalez jumping down the first-base line in jubilation after the clinching hit off Mariano Rivera.) Worn from 1998 through 2006, this “Alternate Home Vest Uniform” turns up as part of Throwback Thursday events celebrating 20 years of the Diamondbacks franchise. The visiting club wore a road alternate jersey featuring the Metropolitans’ mascot, Mr. Met, on a sleeve patch. Both uniforms were enough to offend fans of MLB style, so we might as well dive into the sordid details of each. This uniform was never cool, and provided fodder for the ridicule typically directed at expansion teams early in the life of a new franchise. The first question you want to ask: “Why is a vest part of a man’s baseball uniform?” There is nothing redeeming about this flourish. However, the D-backs doubled down and went even more tasteless with the color combinations. Sure, the pinstripes look bad, but they are nothing compared to the god-awful purple and teal logo with amateur graphics. On the back of the uniforms — in case the home fans aren’t sure who is playing — you even get the names of the players. If your aesthetic sensibilities weren’t offended by now, you get the bonus of the name in teal while the number sits below in purple. The athletic dri-fit undershirt adds another element of ugly in the contrast stitching. Logic, good taste, common sense … these Diamondbacks jerseys left them all in the dust, and we’re not sure the team’s 20th anniversary is enough reason for them to reappear, even on #TBT nights. 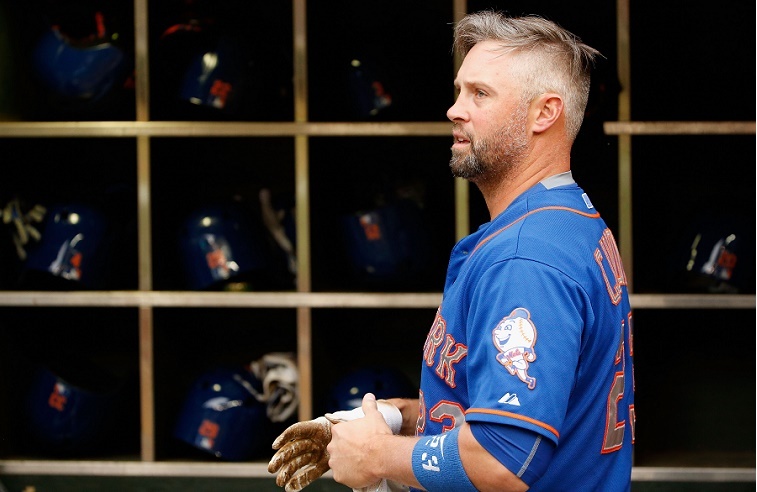 Let’s see how the Mets’ road numbers featuring Mr. Met stack up in comparison. 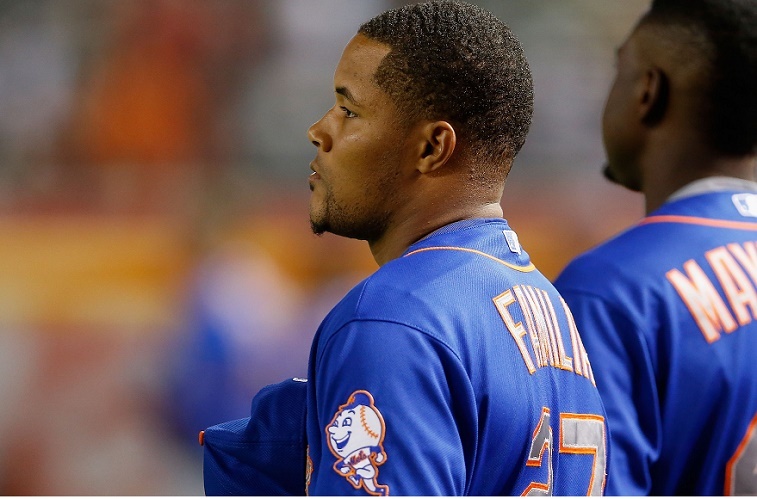 To the team’s credit, the standard Mets’ home and road uniforms are classic and understated. Then the blue and camo alternates enter the picture, skewing any view of the crew from Flushing as far as style is concerned. Here’s what happened to the 2015 editions. As you can see, things go wrong as soon as they veer off the basic course. You could excuse the alternate blues for their garishness (we all need variety, we guess? ), but the inclusion of the team’s mascot on the sleeve is a swipe at dignified ballplayers everywhere. Maybe on the home uniforms it’s fun for the fans to see Mr. Met getting at ‘em on the sleeve patch. 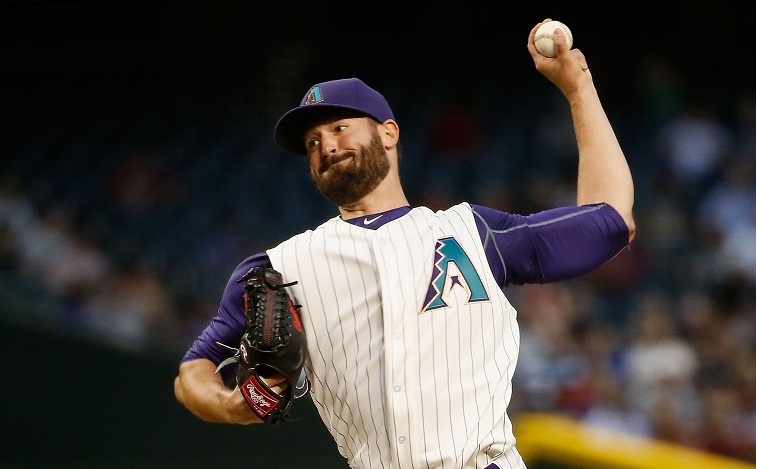 The club from Flushing’s sartorial offenses notwithstanding, we have to award the Arizona Diamondbacks with the award for ugliest uni of 2015. There’s a reason that uniform died in 2006, and it’s called good taste. Special thanks to Mets fan Cindy Solórzano for the tip on the Amazin’s uniform.